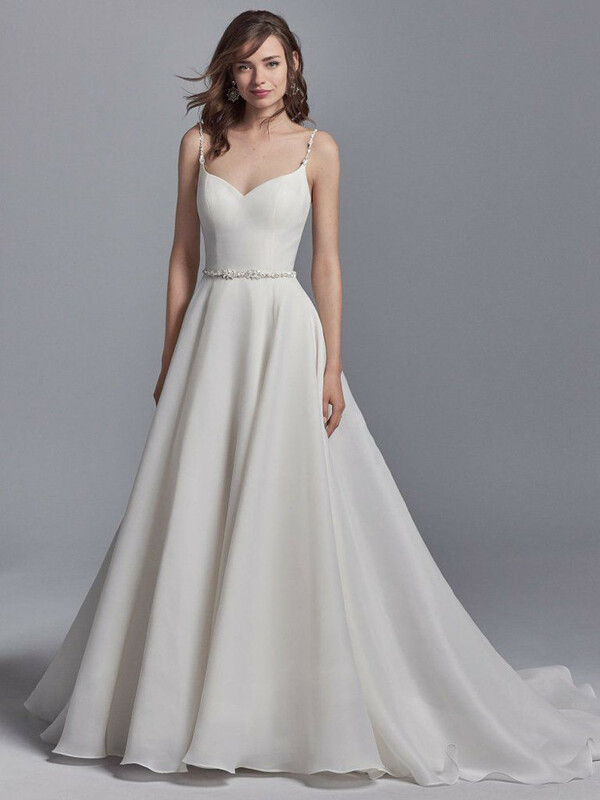 Comprised of Shavon Organza, this classic wedding dress features delicate beaded spaghetti straps and a beaded belt, both accented in Swarovski crystals. 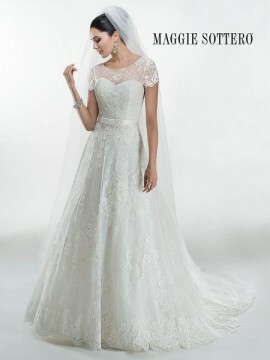 A sweetheart neckline completes this chic A-line gown. Finished with crystal buttons trailing to the hemline over zipper closure. US10 (Fits as UK12).